My kids are always looking for great shows to watch together that they both like and Coop and Cami Ask the World is one of those shows. We had the pleasure of interviewing some of the cast and talk about their new episode of Coop and Cami Ask the World: Would You Wrather Get a Moose Angry. Thanks to Disney for bringing me to LA for the Mary Poppins Returns and 25 Days of Christmas event. In this holiday special of Coop and Cami Ask the World the kids work together to try and make Jenna’s wish of a classic Wrather Christmas come true, but a major snowstorm and a disgruntled moose disrupt their Holiday plans. I think this moose story is going to become my new favorite tradition. 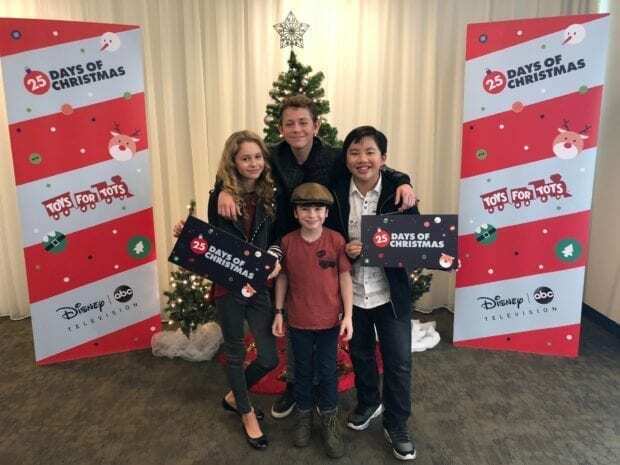 We sat down with Disney Channel talent Dakota Lotus, Ruby Rose Turner, Albert Tsai, and Paxton Booth all from Coop and Cami Ask the World to discuss the show and home life. 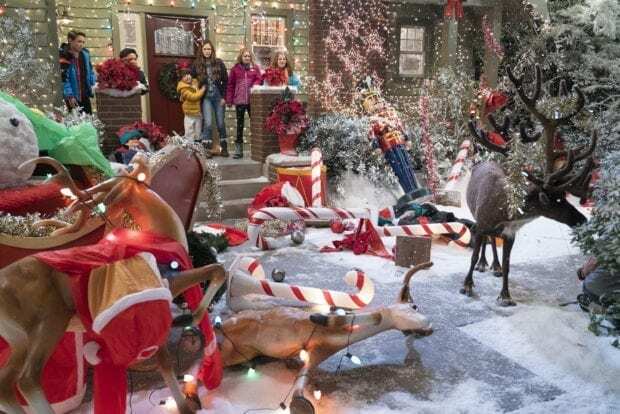 They filmed this holiday special in July but the kids said that once they saw all of the holiday decorations they jump right into the Christmas Spirit. A little Christmas in July as Tsai said. It's one of their favorite episodes that they have filmed “because of all the crazy shenanigans in it,” Tsai said. I would love to hear your family traditions. Do you have things you do every year that really stand out for your family? TSAI: I just love decorating the tree and putting up all the decorations to get in like a festive mood and also like baking treats for friends and family. Yeah. 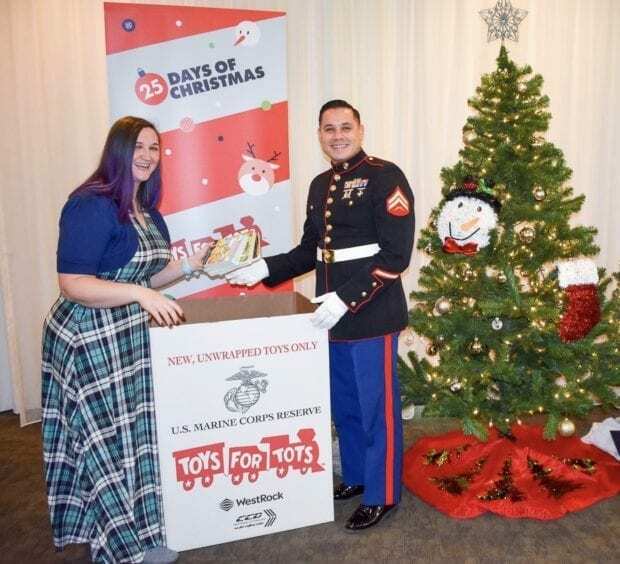 LOTUS: I just love spending time with friends and family and being able to, you know, share the joy of Christmas with everyone and, kind of, actually eating cookies, too. ‘Cause there’s a lot of Christmas cookies, and they’re very delicious. BOOTH: My grandma, I only get to see my grandma once a year, and that’s Christmastime, so we always share Christmas together with Grandma. TURNER: Yeah, I think my Christmas tradition is we have a big, like, neighborhood that does really fun stuff every year. And so it was like that, the episode, but like much more, and so we always like to go around and walk and see all the other Christmas lights, so it’s fun. You can tell these kids really like hanging out together on the set of their show. And even hang out where they aren't filming. LOTUS: And we’ve all become, like, a real family now. We’re definitely really good friends. Yeah. The kids chat with us about their friends back home and how their friends are super supportive of the show and they love memorizing their lines. LOTUS: The last one, and I’m not gonna say why, because I want them to watch it to see, so no spoilers. But the last one. We had a lot of stunts. What do you guys like to do in your downtime? BOOTH: Oh, I love to do BMX. That’s, like, my highest thing to do. I like to play with Hot Wheels. I have a little over a thousand, 1,069, actually. TSAI: I like to read and watch movies a lot in my downtime. Swim, when it’s not too cold outside. LOTUS: Do music a lot, play guitar, and sing. And skateboarding. TURNER: You know, I think what I do, like already, like acting and dance is what I do in my free time anyway, but you know, I think it’s just the same thing. I also like to travel a lot and see new places. That’s fun for me. Make sure to check out Coop and Cami Ask the World: Would You Wrather Get a Moose Angry on the Disney Channel December 7th at 8:30 p.m. EST.